A great audio quality and awesome comfort, that’s AKG K7XX headphone for you. Being a limited edition headphone, it is bound to have some amazing features. AKG K7XX headphone has an open back and that makes it all the more unique as compared to other headphones. AKG K7XX headphone is a stylish headphone and its design is simply mind-blowing. With neutral sound effect and a great bass base, this headphone is really a great pick for those who enjoy music on the go. In fact, the K7 series headphones by AKG have all been good. And, AKG K7XX headphone is just another great addition to the K series. The limited edition creation is always in demand, so this definitely makes a great pick. The overall design is cool and you can casually flaunt the headphone in style. Its comfortable and there is no pressure on your ears as such. AKG K7XX is a Mass drop exclusive headphone so it’s quite classy too. Its available in an exclusive red color base and that makes all the difference. Though, similar headphone models are available in all black color in limited edition. Owing to its unique mass drop configuration, the headphone is quite popular and top rated. If you like to hear the great bass sound, then this should be your ideal pick. Well, it simply does not mean that the headphone is exclusively only for the bass base. The sound clarity is quite clear so you can explore the AKG K7XX headphone in its full potential. When the headphone was initially launched, the price was quite on the higher side. But, with the mass drop, the price is now marginal. Budget wise too, this fits the bill if you are looking for a great performing headphone. This headphone is certainly not for mixing needs. It does not quite work well for studio sounds and mixing purpose. If you still need to buy it for mixing music, then it will be your individual choice. This limited edition AKG K7XX headphone is for pure listening. That means it is ideal for listening to music at home or while you are traveling. The sound clarity while traveling might not be that great still it makes up for the great bass base it offers. AKG K7XX headphone is purely designed keeping in mind the music lover in you. You can hear the clear sound and crisp voice of every instrument in your playlist. This makes the headphone a popular choice amongst young millennials. This headphone may not be too great for your gaming needs. Though you can consider it if you have no other option. There are certainly better options for gaming other than this headphone. AKG K7XX headphone again will not be a great choice for you, if you are a frequent traveler. With low frequency also, the sound is not that great. There are many great features of AKG K7XX headphone; let us look at some of the key features. The headphone is exclusively configured by mass drop. 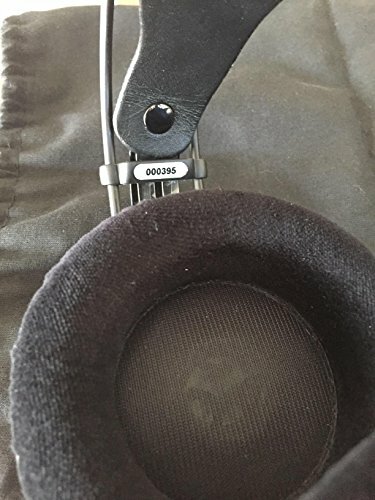 The headphone features an open back construction that makes it unique as compared to other headphones. The headphone features preselected dynamic transducers that make it different. AKG K7XX headphone has a Frequency response: 10-39,800 Hz, which is quite good. The headphone has Memory foam ear pads with a velour covering and that makes the headphone comfortable. There is no added pressure because of this feature. The headphone has a rated impedance of 62 ohms. AKG K7XX headphone has a genuine leather headband and that makes it ultra classy and ultra stylish in looks. The headband also gives a sturdy support. AKG K7XX headphone has Sensitivity: 105 dB/V, which is again a different feature of the headphone. A Detachable 9.8 ft (3 m) straight cable with 1/8 in (3.5 mm) jack is available with the headphone and that makes it more flexible. AKG K7XX headphone has a flat wire coil and that makes it quite sturdy. Handling the headphone becomes easier with the use of a sturdy coil. The headphone is individually numbered and tested, so the performance of the headphone is great. AKG K7XX headphone has an open back and that makes the headphone stylish. The maximum input power of the headphone is 200 mW. Isolation is non-existent in this headphone and being an open headphone, it can leak sound. It works on complete bass response feature so it is great for people who love the bass base. It has a very sleek and functional design. Comfort wise, this headphone is an ideal headphone to buy. It is not on the bulky or heavy side and this feature sets it apart from other headphones available. It’s not only light in weight but it’s also very comfortable. The pads are big and that is enough to cover your both the ears. The overall clamping force of the headphone is also minimal. AKG K7XX headphone is not shallow and therefore you can rely on it even while traveling. As the headband is made from real leather, it enhances the look of the headphone. Actually, the leather detail gives the headphone a very retro feel. If you like a classy look, you can surely go for this headphone. It is quite good at the price. Design-wise, this is not only cool but also stylish in looks. There are two versions available in the headphone. The black version looks like a regular headphone. And, the red limited version looks a tad different. The build of the headphone is good. It’s made from the plastic body but it’s look isn’t very boring rather looks good. In fact, it is durable. The leather support in the headphone gives the headphone a great look. If you like the classic look in headphones, then you may be a bit disappointed with the overall quality and looks. Nonetheless, it’s cheaper for the price so it serves the purpose well. Being an open headphone AKG K7XX is best suited to bass or jazz types of sounds. The headphone delivers an extended frequency response and that is just a great feature of the headphone. The highlight of the headphone is its synchronization. As each transducer is individually tested and individually paired, it makes the sound clear. But, mid-range and low range sounds are better as compared to high range sounds. Actually, this also depends on the noise around and the place you are using the headphone. If you are using it for your regular use, then the sound is quite clear. AKG K7XX comes with a wired 10-foot cable so you do not have to worry about the battery. It can be adjusted and replaced according to your need. Actually, there is no issue of battery with this headphone. You can enjoy hours of nonstop music with the headphone without the need to recharge or even replace the battery. This is an added advantage of the headphone. Take your headphone everywhere you go along with the connecting cable for best music experience. You can get the benefit of the broad soundstage. It maintains the natural tone. It has an open end. You can enjoy the bass and rich mids. It’s comfortable for regular use. Its made from plastic body. It is not so impressive in range. Sound clarity could have been better. Is AKG K7XX good enough for you? Well, yes it is because its limited edition headphone and its also configured by mass drop. The best part of AKG K7XX headphone is its durable and the sound is great. The sound of the headphone is good with bass support. If you like to listen to instrumental music or jazz music, then you will like this headphone as well. AKG K7XX headphone is not recommended for studio or mixing music. It’s purely for your listening purpose. If you are a music lover and like to hear clear sounds, then you would like this headphone as well. Along with the detailed sound, the frequency of the headphone is also good. You can also enjoy the natural tone as it maintains the right balance. As compared to other brands, this is quite popular and cheap. Open back headphone is something you should rightly own because it gives you a different kind of a feel and experience.